GOKPOP | Exclusive K-News in Malaysia & Singapore: IN2IT to hold Asia Showcase Tour "Carpe Diem" in Singapore, Malaysia & Indonesia this February! IN2IT to hold Asia Showcase Tour "Carpe Diem" in Singapore, Malaysia & Indonesia this February! 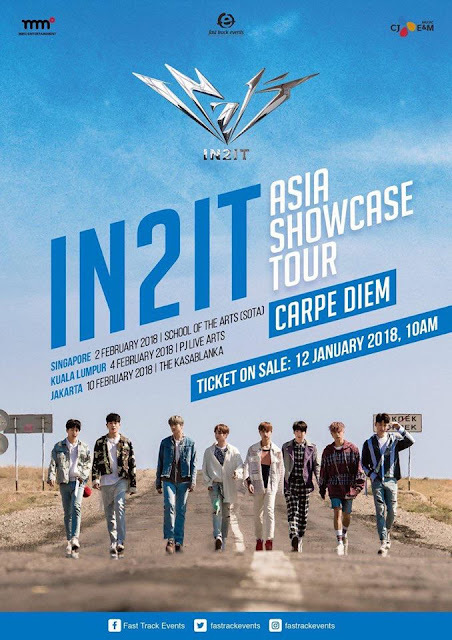 Fast Track Events is proud to present IN2IT Asia Showcase Tour "Carpe Diem" which will be held in Singapore, Malaysia and Indonesia this February. 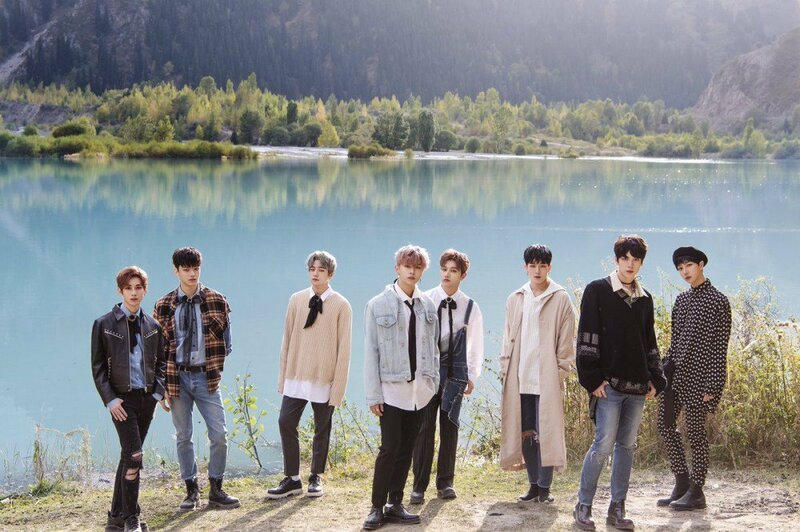 The charismatic boy group, IN2IT consists of 8 talated members will be holding their first Asia tour after officially debuting in October 2017 with the debut album titled "Carpe Diem", a mere four months back. IN2IT will be first touring in Singapore on 2 Febuary, Kuala Lumpur, Malaysia on 4 February before wrapping up the tour in Jakarta, Indonesia on 10 February. As a gift to overseas fans who have always wanted an opportunity to get up close and personal with the 8 members, the tour will not only be presented in a mini concert and a fan meeting format, but fans can also look forward to seeing the members solo performances. Tickets are priced with only one caterry and will go on sale from 12 January, 2018 (Friday), 10AM (based on local timing) via RedTix (for Singapore and Malaysia) and IndoTix (for Indonesia). All tickets holders are also eligible for special benefits, which will be released at a later date. [UPDATE] About IN2IT Asia Showcase Tour "Carpe Diem"
IN2IT was selected from 5,500 applicants through Mnet audition program 'Boys 24' and has held 260 shows within 18 months. Since their official debut on 26 October, IN2IT has ranked at 5th place at Mnet Coundown, one of the most popular K-pop chart shows in Korea. Followed by the promotion in Japan, IN2IT also performed at '2018 Taipei High City', Taiwan's biggest New Year coundown event with the attendance of more than 1 million people. They are one of the first Korean artist to perform at the event, alongside with Korean singer, Rain.